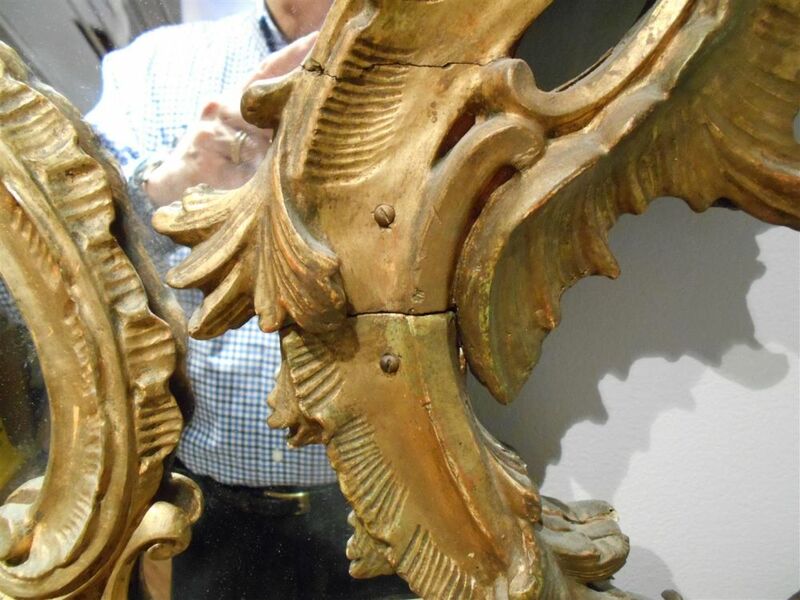 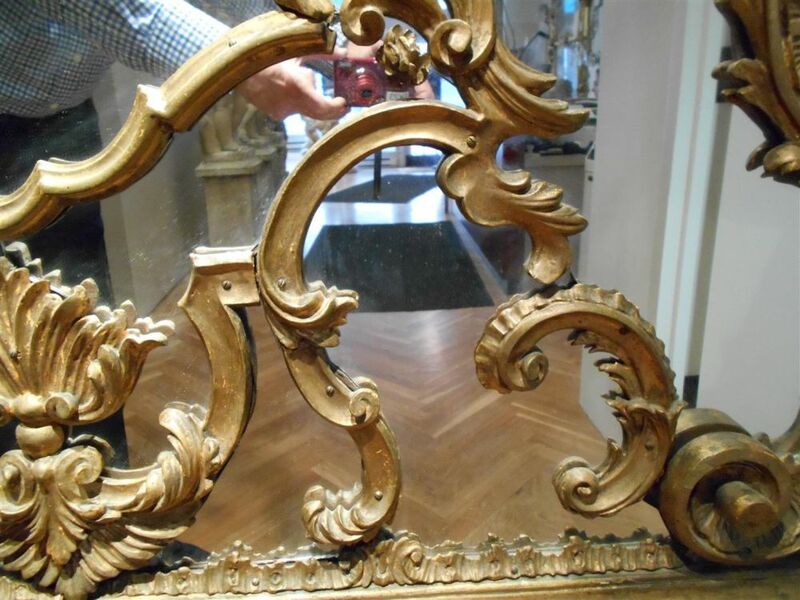 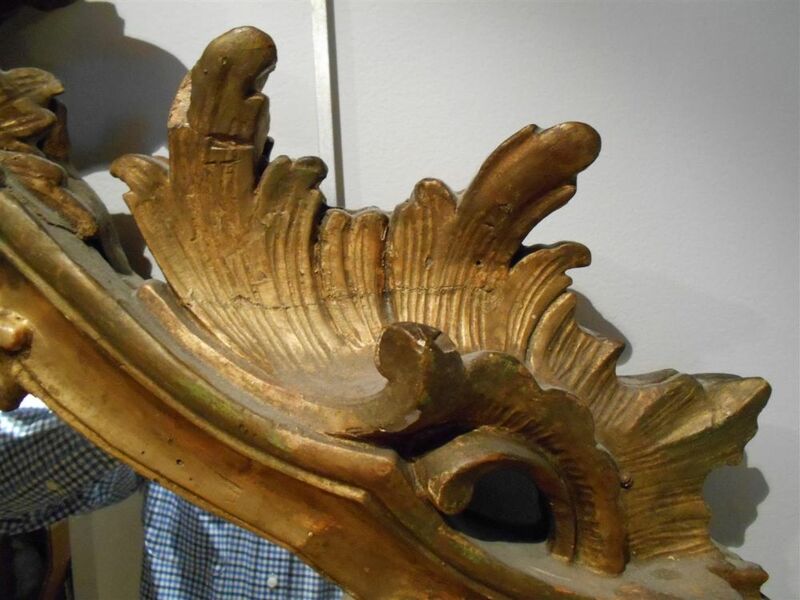 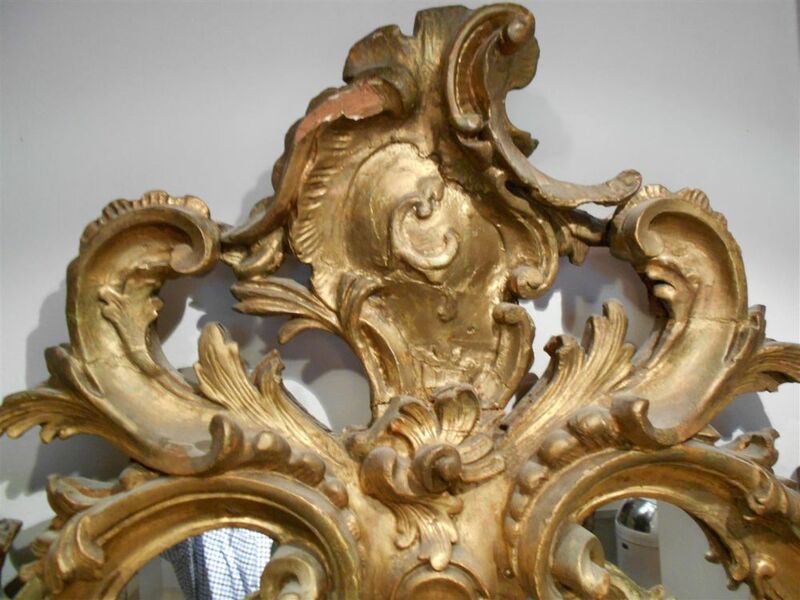 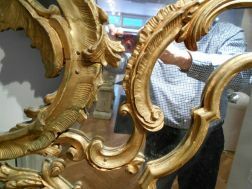 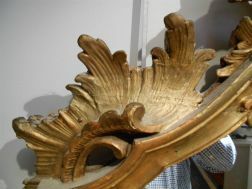 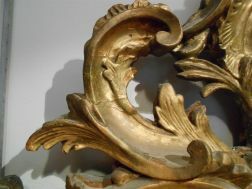 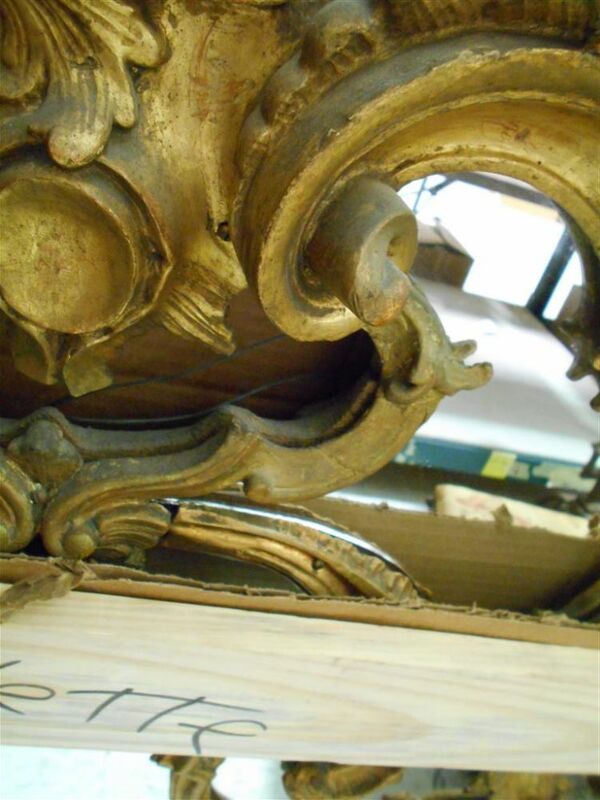 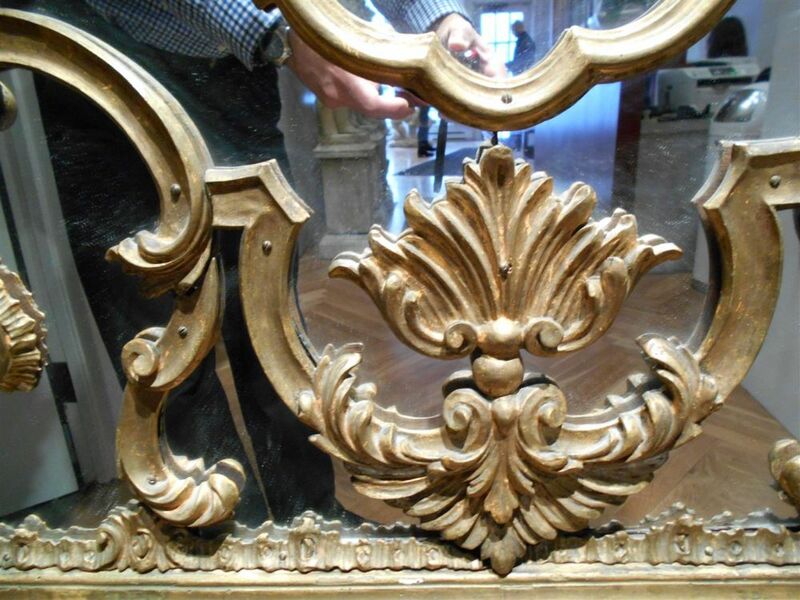 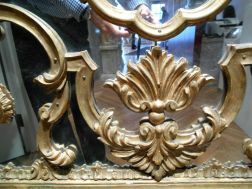 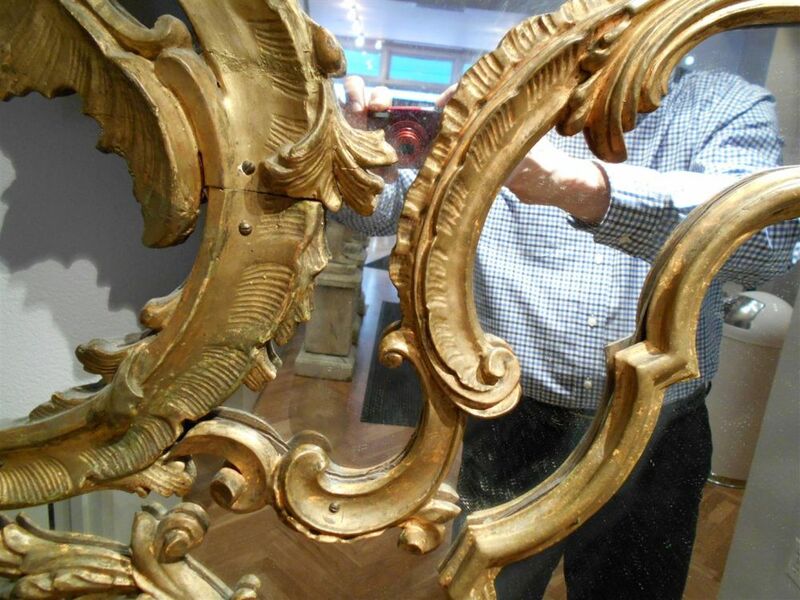 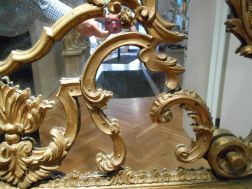 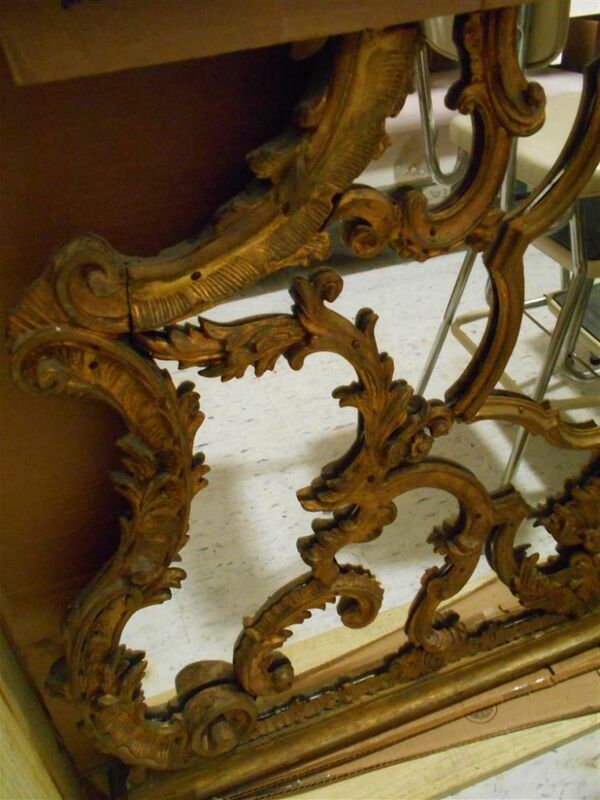 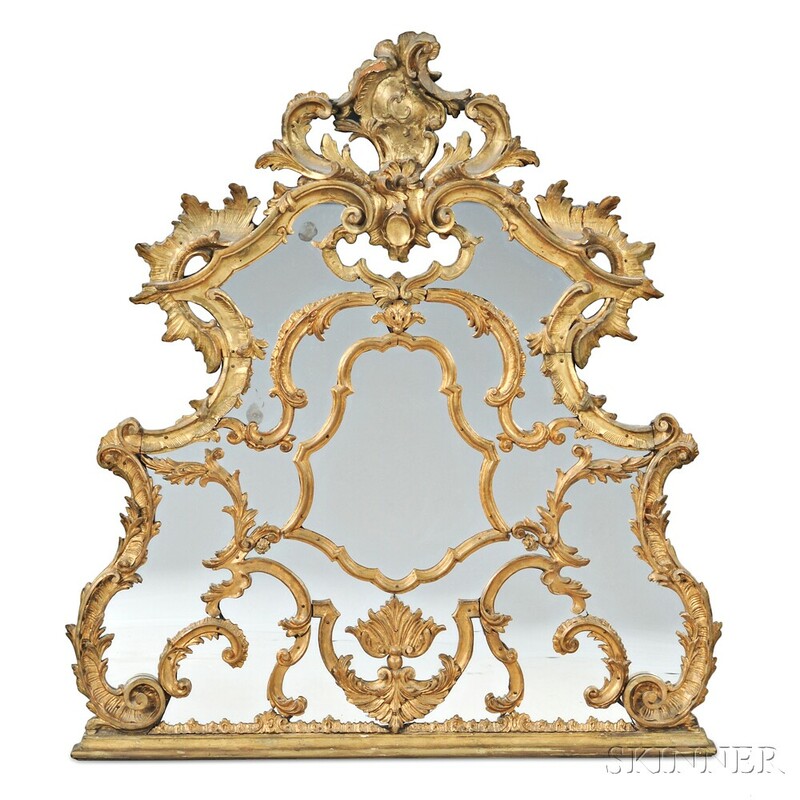 Louis XV-style Giltwood Overmantel Mirror, shaped and stylized pyramidal form with foliate crest and cartouche with a carved "C" motif, overall heavily carved with scrolls and vine tendrils, and a centralized shell motif at base, ht. 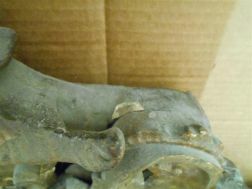 55 3/4, wd. 49 1/2 in. 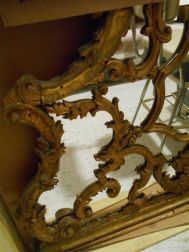 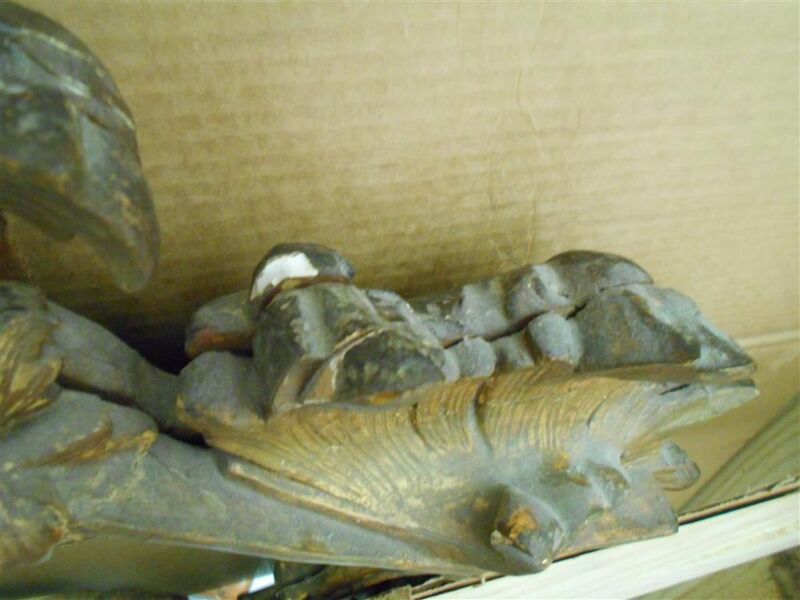 Heavily restored and stabilized. 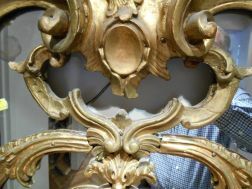 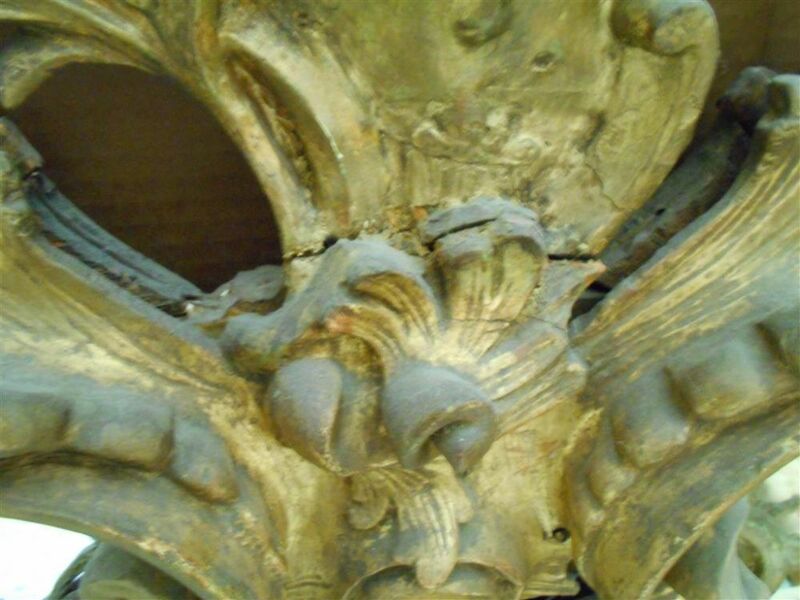 Numerous old repairs to the crest and border foliage. The interior framework drilled and supported with screws. 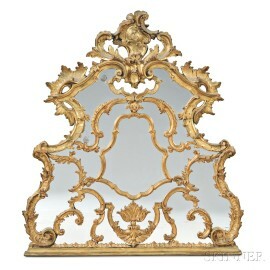 Mirror is not old.